1) She now can point out exactly where I have problems with my posture and movement, and I have a LOT of problems. I blame sitting at a desk five days a week. That and my inherent laziness. 2) I get a whole bunch of ‘Daddy Weekends’. The first few weekends were packed full of scheduled stuff, including one where we had three birthday parties over two days. The sugar rush from that one took a while to dissipate I can tell you. We got to Sunday past and discovered we had a completely free day, nothing in the calendar, we could just do what we liked. 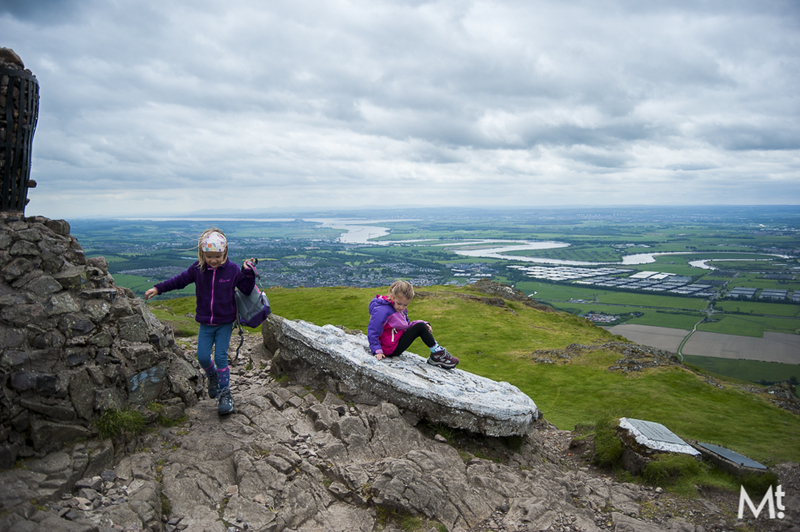 I asked the girls what they wanted to do and it was unanimous: go up Dumyat. That’s my girls. We took the high track for a change, and the wander up was lovely. Millie was out in front leading the way. 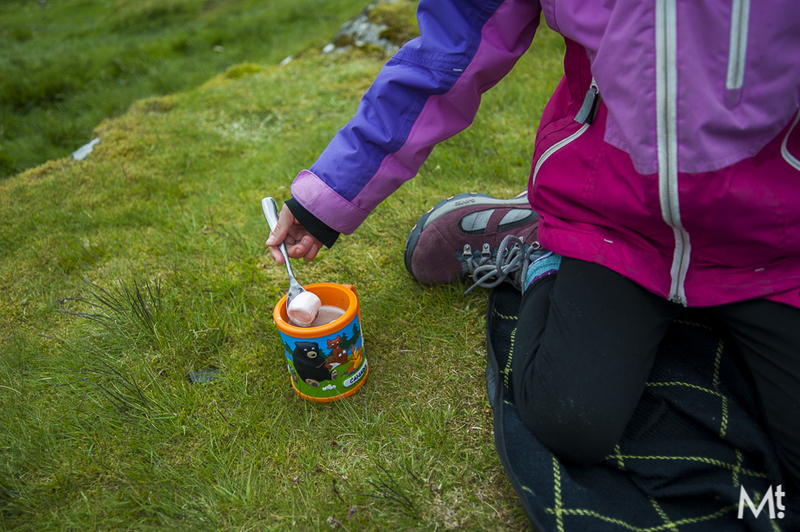 The Forest Schools stuff she’s been doing since nursery has really made her confident in the outdoors. 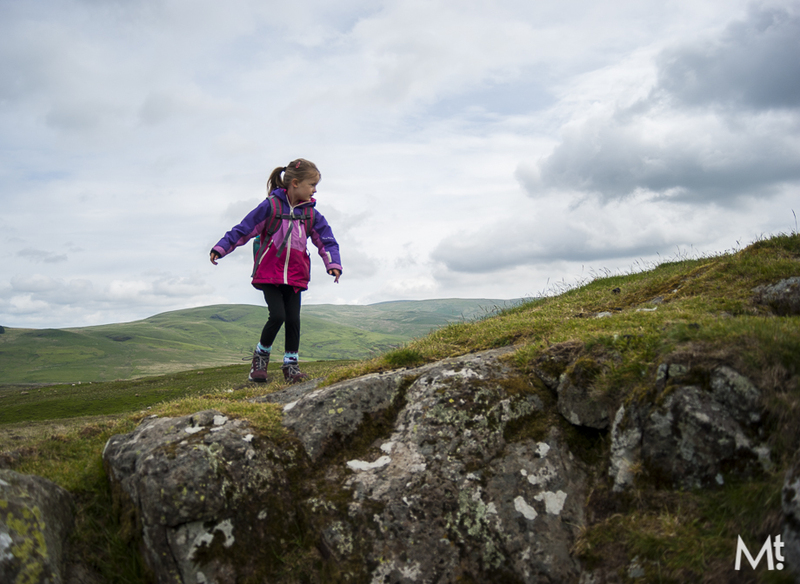 She seems to have absorbed my interest in getting off the beaten track too, she was exploring and clambering and having a great time. The latest thing seems be standing on rocks with a hand raised like the statue of liberty. A serious look is required I’m told. Love it. We stopped halfway to have a snack (this is sounding more and more like one of my solo outings) and to watch a group with a WGL all wandering about with huge rucksacks and mapcases trying to identify wild flowers. Back on the trail and Pippa wasn’t to be left out, she was dead keen to lead too so they swapped out just short of the top and Pip lead up the steep wee finish, scrambling like a natural. 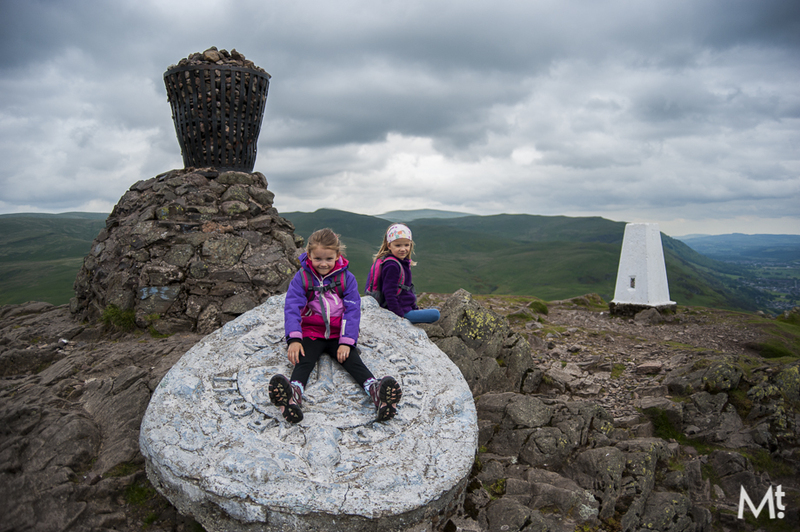 There was much delight at the top and that was further cemented by the production of the latest in high-tech mountain nutrition: Oatcakes, hula hoops and two rounds of hot chocolate with marshmallows. The wind got up a bit, so I produced the bothy bag, which was a huge hit. There were giggles and guffaws and most importantly, smarties. I’m sure the other punters on the hill were wondering why a big green bag was laughing so much. 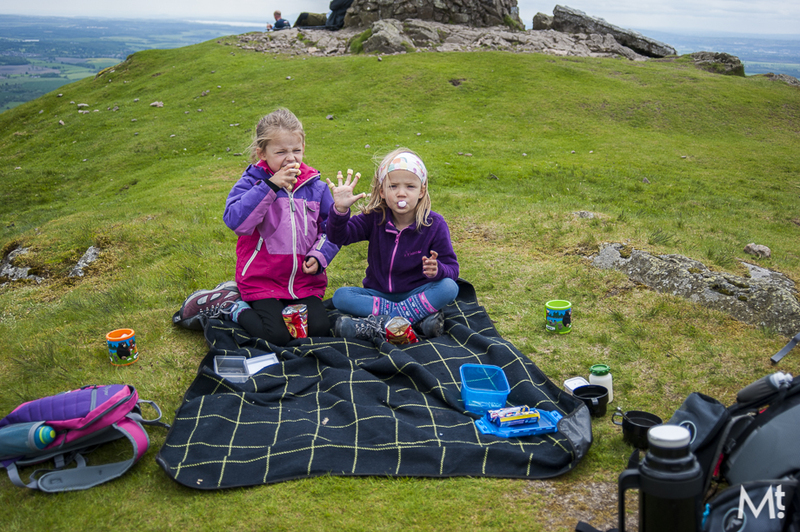 After our picnic, we wandered around for ages and the girls found a nice wee nook for a lie down. 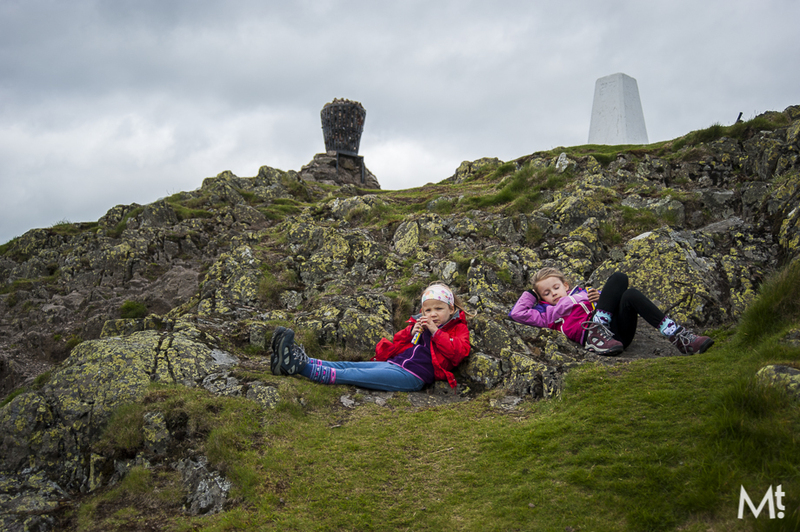 Wandering about on summits, eating sweeties and lazing around at the top; it seems that the girls have adopted my approach to the hills. It was magic. On the way back down, Ranger Millie was out in front again making sure we were on the right track and Pippa was keeping me company at the back, skipping over rocks while holding my hand and simultaneously stuffing smarties in her face. I wish I was that coordinated. When the rain started, they both flipped their hoods up and carried on singing songs and cracking jokes, caring not a jot. 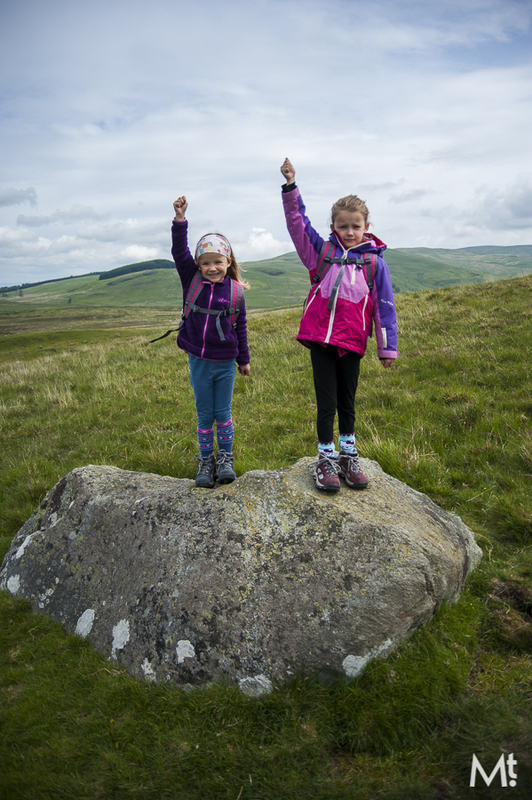 The whole outdoor education thing at school combined with extra-curricular outings is really paying off, they are completely comfortable and capable outdoors and it was a joy to behold. 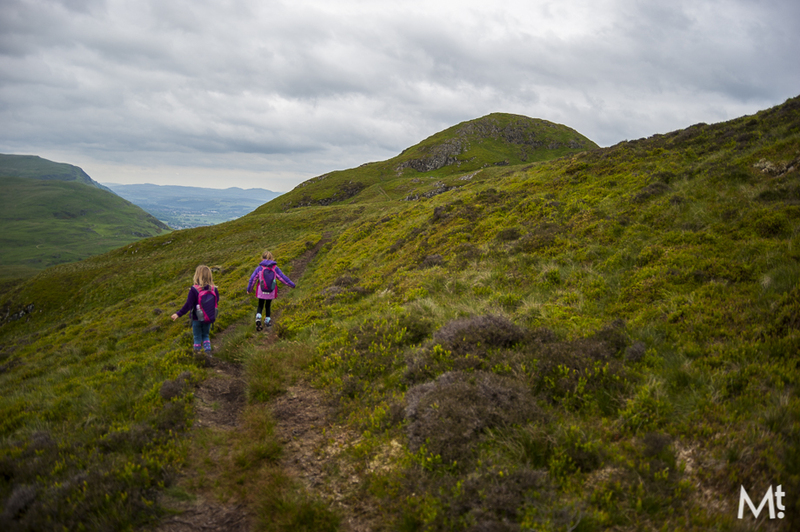 Little hill, little people, big fun. 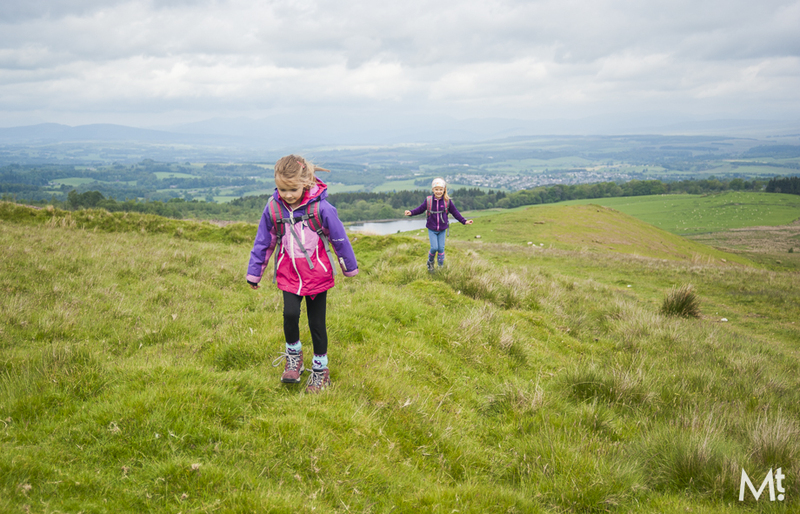 Great to see weans out and enjoying the outdoors. 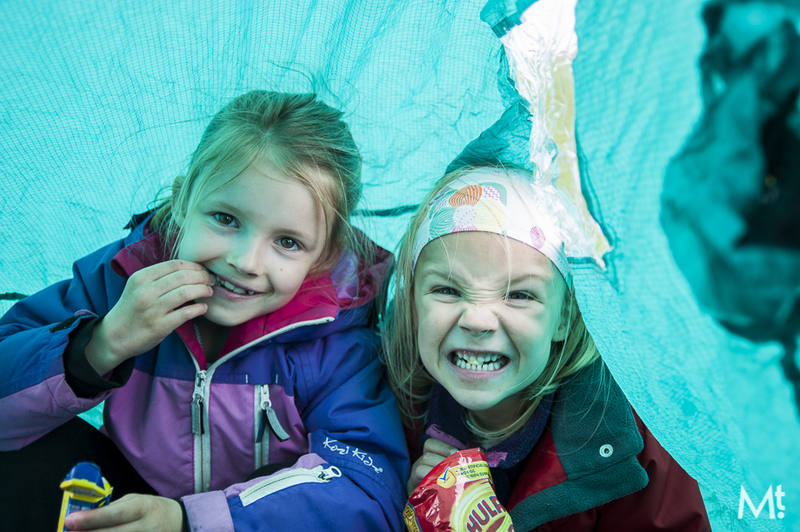 The forest schools stuff sounds just the ticket too. Hopefully we wont have a generation that's permanently indoors and glued to a touch screen device after all!